The system of obligatory deposit after the Second World War continuously becomes perfect for the object that it includes. These objects determine the separate types of documents that are collected in the Archive of the Bulgarian Literature and they change according to the modifications in the active Law of obligatory deposit. The Archive preserves all types of printed books, photograph editions, sound records, dissertations and research works and after year 2000 (when was accepted a new Law of obligatory deposit) also electronic documents. There are preserved editions, printed under 100 copies, editions on Braille, documents, published abroad by order of Bulgarian physical persons or corporate bodies and printed editions on Bulgarian or concerning Bulgaria, imported for public circulation in the country. The number, under which are arranged the bibliographical records in the editions of the Current National Bibliography serves as signature and inventory number in the collection of the Archive of Bulgarian Literature and the editions are the catalogue of that collection. To guarantee the completeness of that collection and to preserve the archive copies, they are not given to the readers to use them. They are preserved packed or arranged in boxes in chronological order according to the year and the following number in the editions of the Current National Bibliography. In that way is assured the joint function of the Archive of the Bulgarian Literature as information for the Current National Bibliography and its documentation. The Collection of the Archive of the Bulgarian Literature contains over 500 000 bibliographical items. In 1897 the National Assembly of the confirming new state of Bulgaria accepted the Law of deposit of printable editions in the National Libraries. That Law assigned to the National Library of Sofia the preservation and bibliographic registration of the printed production in the country. By the Law “Every owner of publishing house, lithography or other similar enterprise is obliged to give free of charge in national collections in Sofia and Plovdiv favour at the same time with the official publishing two copies by every book, brochure, newspaper, journal, proclamation, engraving, map and in general every printed or reproduced in other way production and intended for public circulation.” One of the depository copies, entered in the National Library of Sofia, is given for use to the readers and the other one is intended to be as archive copy. The possibility for creation of that national collection is based upon the philosophy, put in the Law of obligatory deposit. The separate types of documents, published in the territory of the country that have to be given free of charge by the publishers to the libraries, began to form collection that is inviolable and should be housed under special conditions to preserve for the future generations. 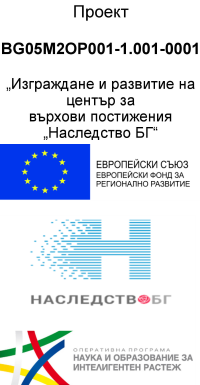 On its basis is made the registration in the Current National Bibliography of Bulgaria. Unfortunately, during the bombing in the Second World War a big part of already accumulated collection in the Archive of the Bulgarian Literature was destroyed. Its restoration in the hard years after the War was very long and difficult. In 1954 the Council of Ministers published a special decree that regulated the supplement of the missing documents in the National Library published till 1944. Resources for their acquisition were the other libraries in the country, antique bookshops and private collections. All documents published before 1944 are housed in the depository in village Bogdanlia and the lately published issues – in village Osoitza and in quarter Izgrev in Sofia. Depositories, outside of the Library are in very bad condition and do not respond to the requirements for preservation of archive collections. It is necessary collections to be gathered in one depository, intended and equipped for preservation of archive collections, they have to be rearranged and checked to have a clear vision for their capacity and condition. After that should be taken measures for their restoration and supplying of missing editions. The Collection is inviolable. Only the staff that describes and support it can use it.